All greeting card orders include envelopes. 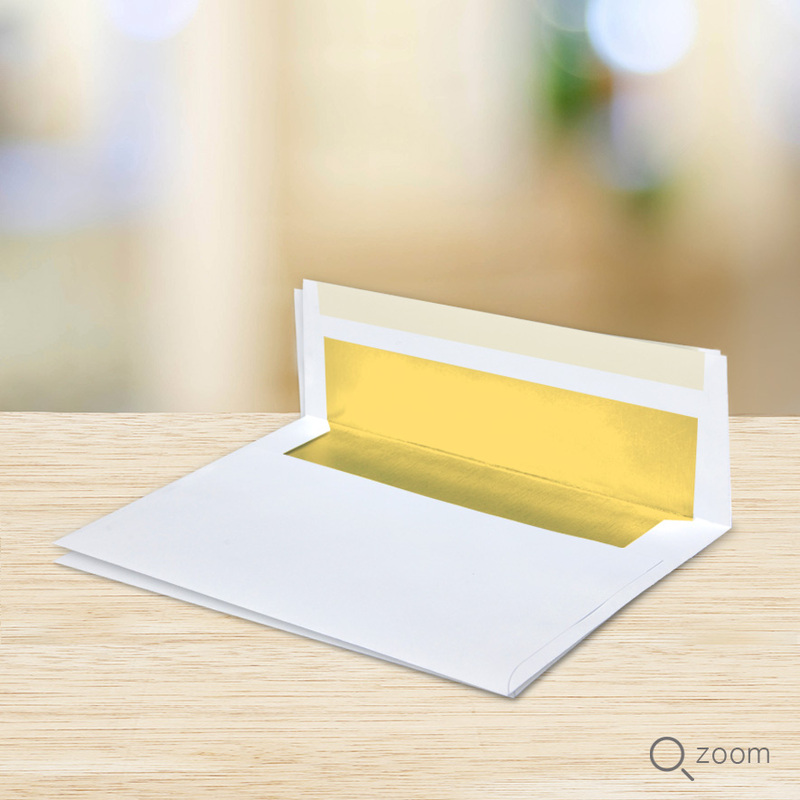 Add on extra A7 gold foil-lined envelopes to your order for $0.10 each. Envelopes can be personalized with your return address and company logo for an additional $0.15 each. Size: 7 ¼" x 5 ¼"